It was a beautiful, warm yet slightly overcast Wednesday in Roma and I tried some new experiences. I caught up with a couple of my beloved Caravaggio paintings (Crucifixion of Saint Peter and Conversion of Saint Paul — both incredibile), and then thrust myself right into the 21st Century. I visited Maxxi: the new truly modern art museum, designed by the great Iraqi architect: Zaha Hadid. The museum was — as the kids say — waaaay cool. An interesting exhibition of the work of Luigi Moretti , the dude who designed grandiose spaces for Il Duce as well as the Watergate complex. 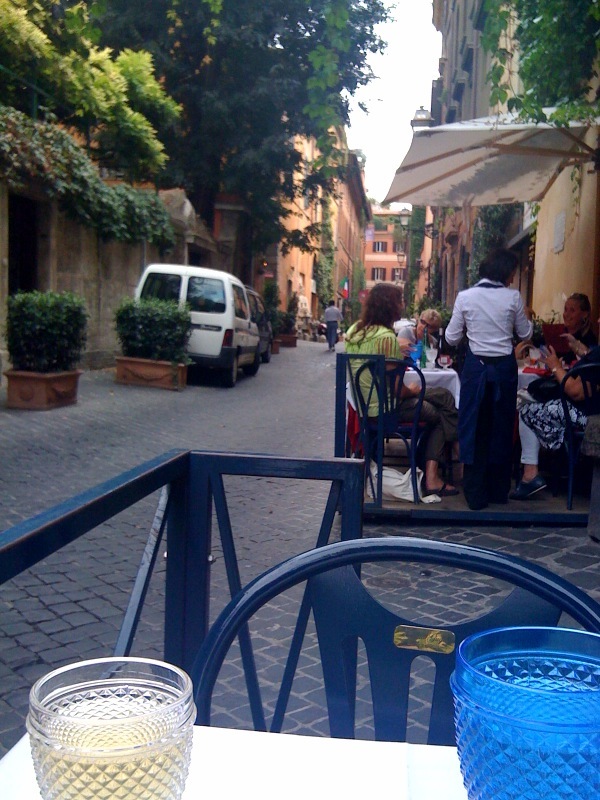 Afterwards, I set off to find an intimate ristorante on a little side street. The trattorias are, of course, all over the cittá of Rome. I found this place called Osteria Margutta. And, devoured a wonderful lunch of Tortellini stuffed with ricotta and walnuts — though they claimed it was zucca: pumpkin. All covered in a luscious cream sauce. Fabulous!!! Or, as they say about food: squisito. I’d show you a picture but oops I ate it all before I had a chance to take the snap. Such is the wonderful adventure of looking for something new. And finding something squisito!